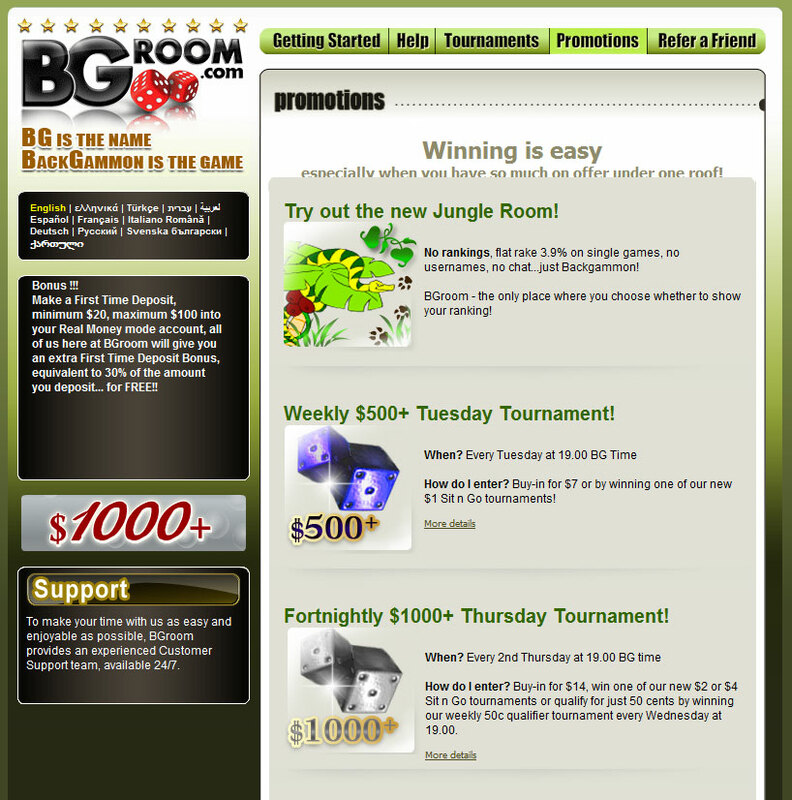 BGRoom is one of the more recent casino outfits having only been established less than two decades ago. However, despite its late entry into the fold, it has created a lot of awareness amongst casino lovers and with it, the successes that come with such actions. 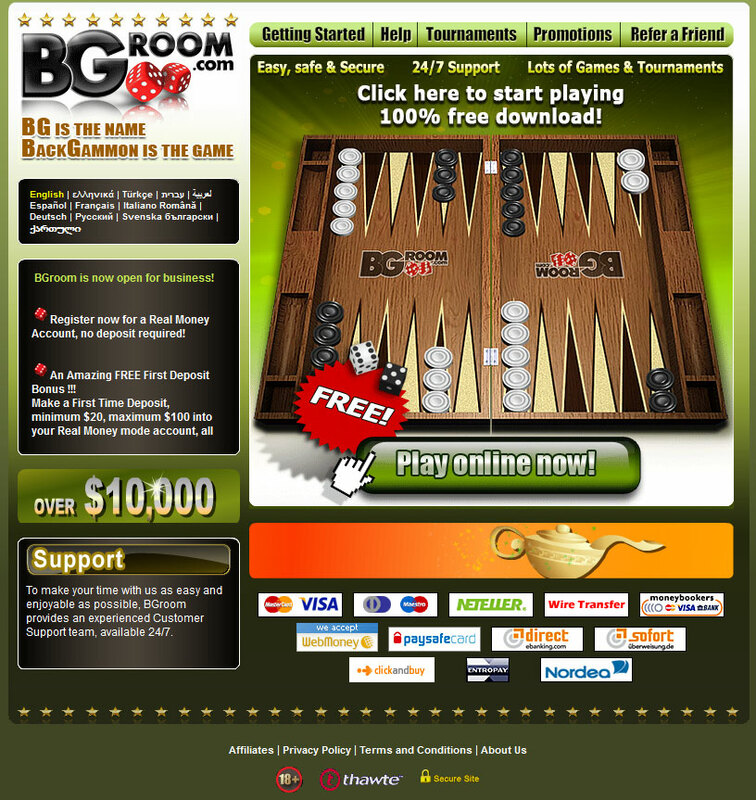 Less than two months after BGRoom went live, the UIGEA (Unlawful Internet Gambling Enforcement Act) which affected all online casinos operating with the United States was passed and BGRoom and other backgammon room outfits owe some of their successes to the fact that many players who would have opted for other games in the US focused more on what they had to offer as a result of the UIGEA. Despite nay-sayings from a handful of people, there is no doubt about the fact that BGRoom is the best backgammon software on the internet and the gambling site is more than proud to post it on their website. The client software used at BGRoom is second to none particularly because of its stability, minimal system requirements of not less than any x86-based system with a RAM of 128MB. 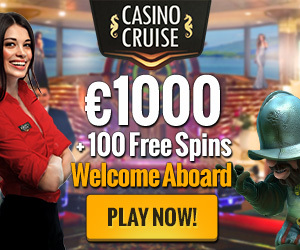 There is a need to have a steady and strong internet connection to fully maximize the pleasure that this casino brings. Disconnection can occur when internet connection is poor and when such occurs, players have just 5 minutes within which they must reconnect the game. This avenue has been severally abused and so if within 5 minutes, reconnection is not established, the player will be penalized. The welcome bonuses at BGRoom are very easy to get and are equally efficient, immediately after sign up, a $5 bonus is awarded to the player without having to make any deposit. This feature is widely referred to as the no-deposit bonus offer. A wide tour of the internet shows that not even one other gaming establishment is as generous as BGRoom when it concerns no-deposit offers and even though other casinos face stiffer competition for Poker, they haven’t still been able to match this package. Apart from this awesome package, new players will be awarded a 120% bonus to the 100$ limit on their initial deposit. To enjoy this offer, players must deposit not lesser than $20 and not higher than $200 so take for instance a player who signs up and gets $5, then deposits $30 thereby getting an extra $36. Such a player will then have $71 to stake with as against the $30 he is parting with. BGRoom has quite a number of promotional offers including the welcome and no-deposit offers we discussed earlier. There is also the opportunity to participate in several tournaments which affords you the opportunity of doubling or even tripling your deposit. Another offer that you can get at BGRoom is the $500 Sit and Go tournament which has the winning possibility of $500 and also the refer-a-friend promo which awards a $10 for each friend a player refers. To serve a wider range of people, the website is designed to have a variety of language including English, Greek, Turkish, Hebrew and Arabic which are even advertised on the online page however, there are other languages like Romanian, French, Spanish, German, Italian and Dutch available on the site but the level of support each have is not clear. For instance when you click on the Italian support page, it redirects you back to the English page but this should not deter any player whose language is not yet supported because it is usually a work in progress. As a result of its position as industry leader, BGRoom has ensured that several enticing features that will continue to endear backgammon lovers to the site are constantly added. Apart from the breathtaking bonuses and promotions, there are other surprises like the game analyzing tool which allows players to analyze their mistakes with a view to helping them improve in subsequent games. The gaming outfit even allows you export your games in a GNU format so you can use the backgammon analysis tool to analyze them at a later time. There is also the possibility of replaying matches and making conclusions from the export tool. Another interesting thing is that BGRoom provides several tournaments for players to play in not only the money-mode but also in free practice. As it is with all online casinos, BGRoom treats financial and personal records of their customers with top priority and so the security measures adopted are some of the most advanced SSL encryption. Many have even said of BGRoom in terms of security that there is no significant difference between transferring from a bank and transferring to BGRoom. When players play online, there is the need to feel that technical and customer support are within arm’s length otherwise how do you make a customer who has staked so much in your site comfortable if when he needs help or guides there is nobody to offer any. It is for reasons like this that BGRoom has put in place a sturdy customer support group to ensure a round-the-clock support to customers. So be assured that no matter where or when you get stuck while playing at BGRoom, help is within reach. Deposits and withdrawals are usually seamless at BGRoom. To cater for the diverse customer base, popular payment platforms like the VISA and MasterCard and Neteller which is a delight for Europeans are accepted. Moneybookers, Western Union and Wire transfer are also accepted. Importantly, all deposits and withdrawals are processed within 10 minutes.